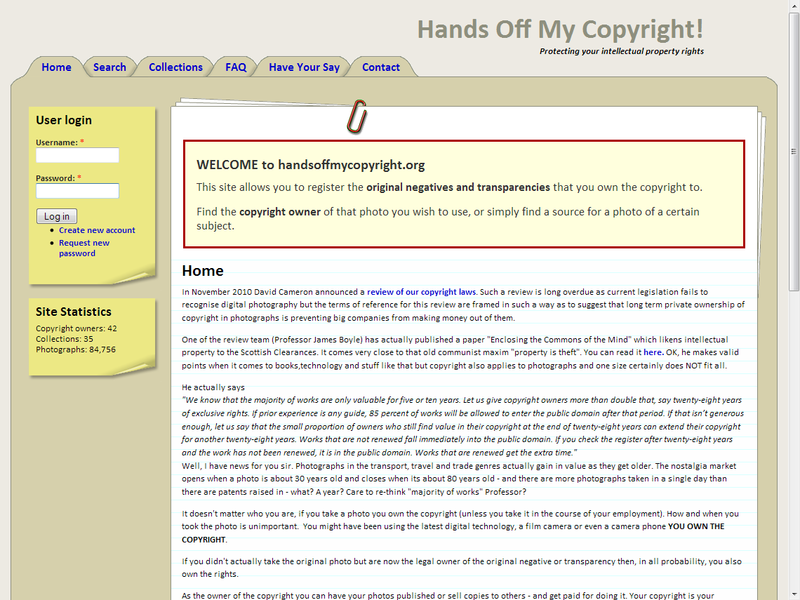 This site was put together on a limited budget, to provide a central location where photographers can register their copyright in the photos that they own. It makes use of various Drupal functions, such as relationships between entities such as photographs and the collections they belong to, and automated image resizing and watermarking. The theme isn't the best HTML (using tables for layout) but seemed appropriate for the site, and was readily available.